Last week Sharp agreed to sell a two-thirds stake to Foxconn (Hon Hai Precision) for $3.5 billion. According to Digitimes Research, Foxconn and Sharp's post-acquisition focus will be on OLEDs, and out of the total investment $1.8 billion will be allocated for OLED technology. Foxconn aims to start producing IGZO-based OLEDs for smartphones in 2018 (probably they aim to become Apple's 2nd OLED supplier) and then to start developing larger OLEDs too. Digitimes layers our Foxconn's plans - 3 million tablet/notebook panels in 2021 and 10.4 million panels in 2025. In 2021 Foxconn will also start producing OLED TV panels - 252,000 panels in 2021 and 7.2 million panels in 2025. Foxconn is also the owner of Innolux - who's been promising small scale OLED production since 2012. 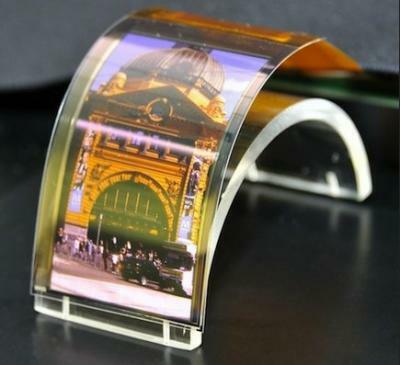 Last month Innolux's president stated the company expects OLED demand in high-end smartphones to take off in 2017, and that Innolux continues its flexible OLED R&D. It was recently reported that Innolux is building a new 6-Gen LTPS line that will be used to produce both LCD and AMOLED panels. Innolux expects the new line to start producing LCD panels in the first half of 2016.